The White House Social and Behavioral Sciences Team (SBST), which uses insights from the social and behavioral sciences to improve federal programs, is accepting applications for new members to serve on the team as Fellows or Associate Fellows. The one-year fellowship begins in October 2016 and is open to PhD or Masters level scientists with expertise in one or more field in the social and behavioral sciences. The deadline for applications is January 24, 2016. More information on the fellowship is available here. 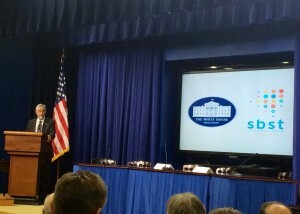 On September 15, President Obama signed an Executive Order calling on federal agencies and departments to use “behavioral science insights” to “design government policies to better serve the American people.” The order comes as the Social and Behavioral Sciences Team (SBST), a team of about a dozen behavioral scientists within the National Science and Technology Council (NSTC), issued its first annual report. SBST was established in 2014 as a mechanism for testing and applying social and behavioral science interventions to make government programs more efficient and more accessible. The team is chaired by the White House Office of Science and Technology Policy (OSTP) with participation by a dozen federal agencies, departments, and White House offices. The SBST 2015 Annual Report describes several efforts taken in partnership with federal agencies to streamline access to federal programs and to improve government program efficiency. Activities include increasing the number of servicemembers saving for retirement, boosting college enrollment, staving-off student loan default among vulnerable groups, and assisting farmers with obtaining credit. 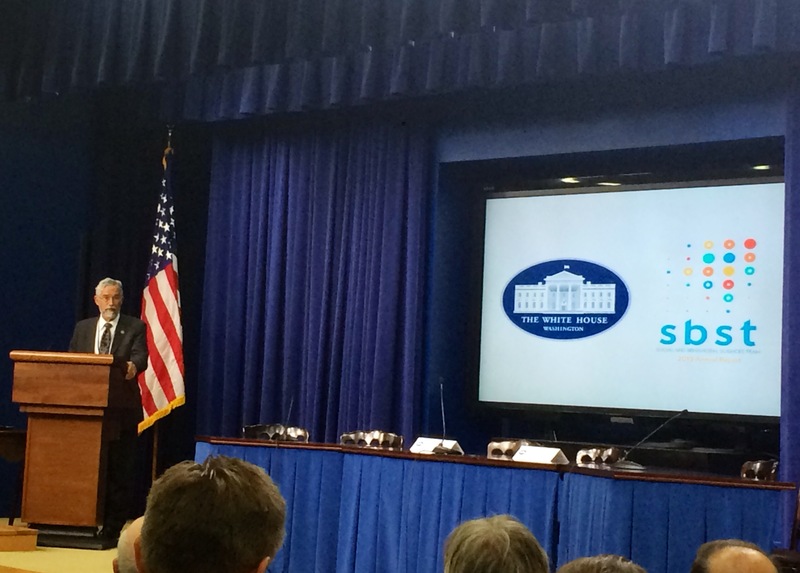 As OSTP Director and Assistant to the President for Science and Technology John Holdren stated during a White House event on September 15, “social and behavioral sciences are real science, [and] abundantly warrant support in the federal science and technology budget.” Other senior Obama Administration officials spoke at the event, which COSSA attended, in support of SBST and social and behavioral science research, including Shaun Donovan, Director of the White House Office of Management and Budget (OMB), who talked about building an evidence agenda that not only identifies “what works,” but also acts on that knowledge to implement best practices. Those interested in collaborating with the team—such as on a specific program evaluation and/or through a fellowship or other employment opportunity—can register with the team on the new SBST website (http://sbst.gov). The White House Social and Behavioral Sciences Team (SBST) has issued a call for fellows and associates to “translate insights from the social and behavioral sciences into concrete recommendations for how to improve federal programs, policies, and operations…” This activity was referenced in the President’s FY 2016 Budget Request (see page 5). Fellows tend to be researchers holding a PhD in a social science field who take leave from their university, government agency, etc. to serve in this position. Associates are researchers currently pursuing a PhD in a related field, or who have a Master’s degree plus two years or more of relevant experience. Fellows and associates sought for this opportunity would begin in September 2015. Applications are due April 12.